Andrew Jackon’s troops roared in appreciation as the British force took the field. Soldiers, sailors, Marines, Indians, freed slaves, slaves and pirates (many of whom were drunk–and it wasn’t just the pirates) never had seen anything like the British regulars. The Redcoats were an elite force and veterans of the Napoleonic war. The only thing that stood between them and New Orleans was Jackson’s motley crew. No one knew the war was over. The peace treaty had been signed and was making its slow treck across the Atlantic Ocean towards the charred remains of Washington. The fighting was supposed to stop. The battle should not of taken place. Many historians said it was a waist of time. 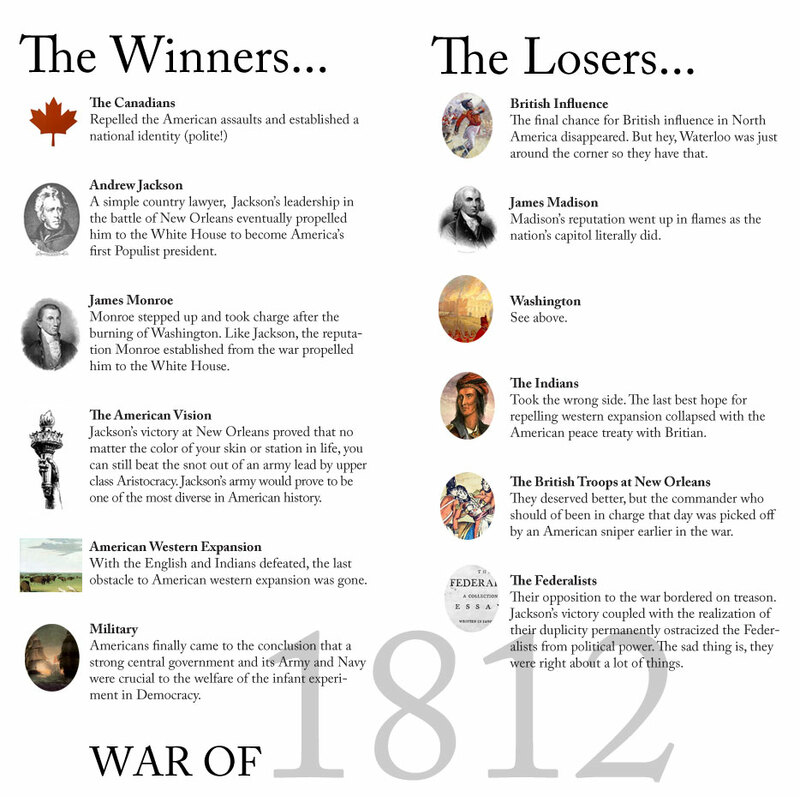 But anyone thinking that the British would of given up New Orleans after a victory well…just ask India. It wouldn’t of happened. The British would of control a major trading port taken advantage of all those goods traveling down the mighty Mississippi. They wouldn’t of left anytime soon. Peace treaty or not. Back to our story. The British troops marched in perfect rank toward Jackson’s troops. But It was all downhill for the British from there. They first met a barrage of deadly fire from Kentucky and Georgia riflemen. Then came Jackson’s cannons. It was all over. The condensed formations made easy fodder for cannons. The flanking troops that the British were counting on never arrived (held back by Jackson’s counterattack). After a few hours and failed attempts to rally the British troops, the battle mercifly ended. The British had 2,042 casualties: 291 killed, 1,267 wounded and 484 captured or missing. The Americans had 71 casualties: 13 dead; 39 wounded and 19 missing. Love how its laid out neat and simple. When the situation at the time was anything but – that said, great post!